WinterRealm can now be found on Facebook. Also, again there are some new OUROBOROS reviews on the press page. Added two OUROBOROS reviews to the press page. 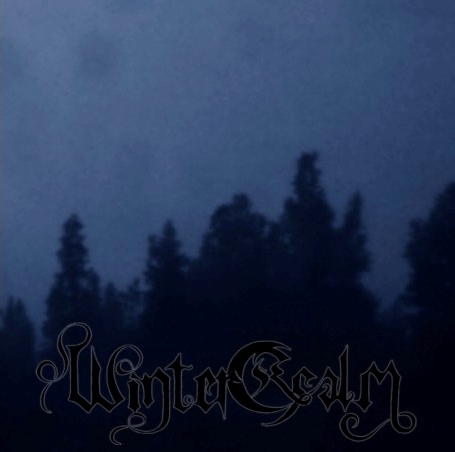 As you can see from the header, WinterRealm has a new logo! Many thanks and appreciation go to Old World Design for the original concept, and Christophe Szpajdel for retouching and finalizing the logo. OUROBOROS is officially released today! 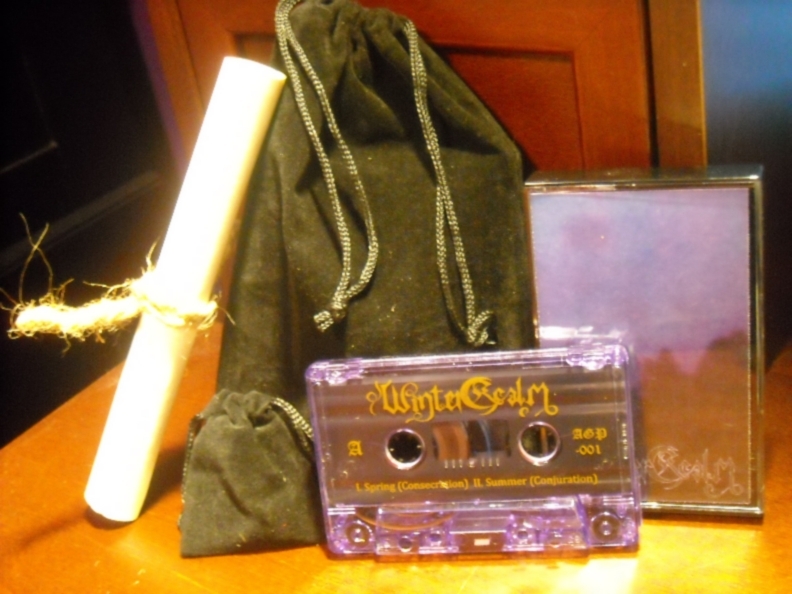 There are 200 standard cassettes available which come in black and white, and then there are 22 limited cassettes which are clear purple and come with something extra to commemorate this accomplishment. Photos below. For orders outside of the US or regarding wholesales, please contact me before you order. Thank you. Pre-orders are now being accepted, however, as always if you are ordering from outside of the United States, I ask that you please contact me so that I can calculate the correct shipping price. It's already old news to some, but a cover of the Misfits song "Die, Die My Darling" can be heard on the Myspace. Also, plans to release OUROBOROS on cassette are being made. OUROBOROS' release date has unfortunately been pushed back. You can now expect the album to be out sometime early this Spring. WinterRealm is to be featured on the Temple Of Snakes podcast! You'll be able to download the podcast later tonight from their website Here. Feel free to repost the flyer anywhere you like. Sidenote; I changed the layout of the website slightly. Everything should be working fine, but just in case it isn't, let me know. Thanks. In addition to the upload yesterday, "Vir Est Pestis", there are two more tracks up on the Myspace page for you all to hear. 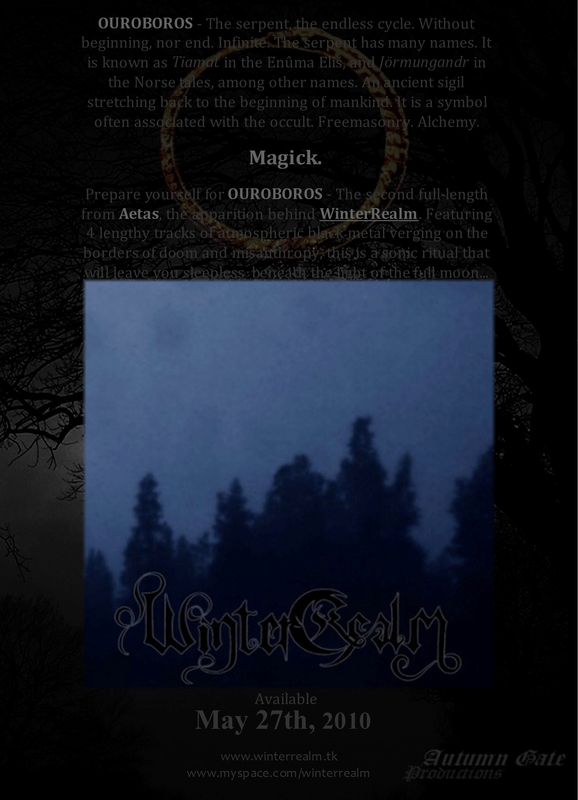 "Autumn (Manifestation)" is from the upcoming album OUROBOROS, and features both male and female clean vocals; and the other song is the original demo version of "Shrouded Forest" from the Aeternae cassette. New track posted on the Myspace. It is called "Vir Est Pestis", and will be featured on a future release. More tracks will be posted soon, so be sure to check back. Ouroboros release date set. Should all go according to plan, the album will be unleashed December 31st 2009. Just a small update. Ouroboros has been confirmed for release, and should be out before the end of the year. The album will be released on Pro CD in a limited quantity of 500 copies through Azermedoth Records. Also, there are plans to release Twilight on CD soon with a bonus track, and I am also planning to re-release the Aeternae promo on cassette as originally intended. Both of these releases will be limited as well. More info as things reveal themselves. New review for "Twilight" posted at Metal Reviews Blogspot. Quick update on OUROBOROS. The Artwork has been finalized and everything is set to go, just awaiting confirmation now. Get ready, it'll be worth the wait. The vocals for OUROBOROS were finished Sunday and now everything is ready for release. A full song from the album has been posted for all to enjoy, it is titled "Spring (Consecration)" and it can be heard Here. Thus far I am very pleased with the way OUROBOROS has turned out, and I feel that this album is definitely the best work I have done to date. While there is no release date for the album yet, I can say in full certainty that if all goes according to plan, OUROBOROS will definitely be out before the year is over. I can't wait for you all to hear it. You won't be disappointed. In other news; the website has switched servers. Everything looks fine and seems to work, but if you should find any errors, please contact me through the E-mail address provided at the bottom of this page. It would be much appreciated. Expect even more music and updates coming soon. Stay tuned. An interview with Asiandeath metalzine has been posted online, you can read it from their website Here, or from the WinterRealm myspace Here. Also, I have updated the website slightly. At the top of this page you'll find two new links. One will take you to a new section for interviews and reviews, and the another will take you the media section, where you will find a few general downloads, eventually. I have fixed a few other things as well, but mostly things no one will notice. Small update on OUROBOROS. I received the equipment I have been waiting for, and I will begin tracking the vocals today. Should everything go according to plan, they will be done within the next few days. Due to some unforeseen technicalities, finalizing OUROBOROS has taken much longer than was originally expected. Unfortunately, the drums on the recording will remain programmed, as the plans to record them live fell through. The vocals should be done soon however, probably sometime within the next few weeks. I am currently waiting for some equipment to ship before I can start recording. Other than vocals, everything is ready including the artwork, and hopefully a release date should materialize soon. Some other news: The "Ancient" demo is currently in the process of being re-recorded for future release, and it may or may not be named "The Ancient Past". In addition to this, should everything go according to plan, "Twilight" is scheduled for release on Cd and possible re-release on cassette in the near future. Should a release on either format happen, it is very likely that they may contain a bonus track. The new album is almost complete. It will be titled OUROBOROS, and it will contain four songs. The total running time is just over 35 minutes. You can listen to a rough sample (with programmed drums, and no vocals) Here. Vocals and Drums are scheduled to be recorded within the coming weeks, and everything should be finalized by the end of April. Now that Twilight has been released, a new full length is on the way. It will be four tracks and roughly 35 to 40 minutes long. The new songs are somewhat slower and more lengthy than the previous albums, and the theme of it is based around the seasons. Two of the four songs are recorded, minus vocals and drums. The other two should be recorded by the end of this week or the start of next. Vocals will be recorded at the Winterforge later, along with drums, which will be provided by Tartarus of Felwinter and Ex Animis Mortuum. Additional Vocals will be provided by Moonchild. Artwork is yet to be decided. It is time for the Crystal Gate to be cleansed. Twilight is set to be released February 25th on Baleful Benediction Records. It will be available on cassette in a limited quantity of 66 hand numbered copies. More details soon. Also, as you can see from the entrance, WinterRealm has a new logo. All credit goes to Patrick of Old World Design. A release date is not set, but it will probably be sometime around Winter 2008/Spring 2009. 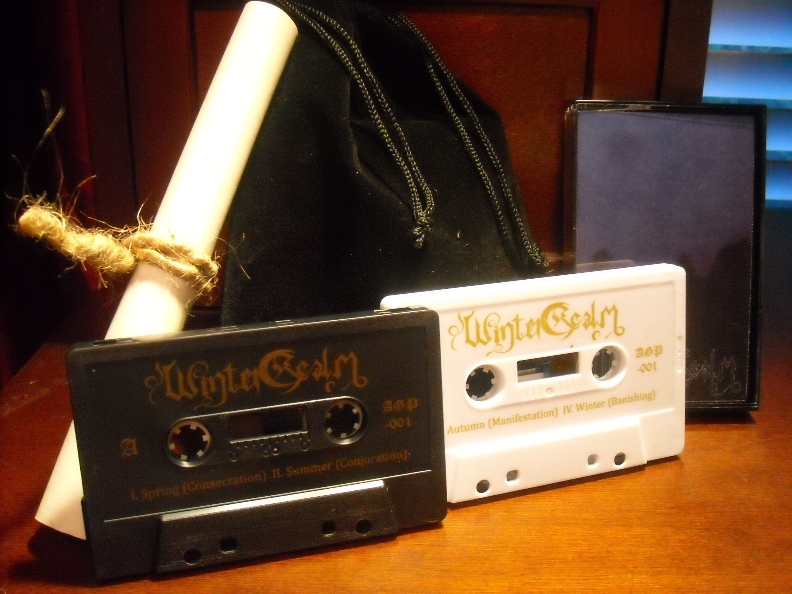 WinterRealm is currently looking for a label. Also, as you may have noticed, the website has been re-designed.